Just received my 500+ .223/5.56 cases today and they look great! 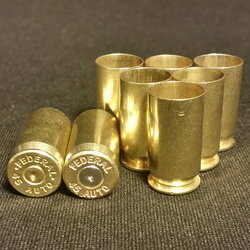 I ordered them un-processed because I like prepping my own brass, it's just something that I enjoy........but after staring at a box full of brass this size I might decide to have them decapped next time? Ha,ha.........Seriously I'm very glad I found this site, honest 2 day shipping and I got exactly what I had hoped for. I'm not going to count every single case because I'm not that worried about it, but I guarantee that there are more than 500 pieces of brass in this box, double bagged, and reinforced tape on all corners of the box......Smart Packaging! 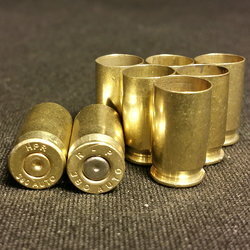 I will be ordering more brass from Diamond K Brass and you should do so as well without hesitation.